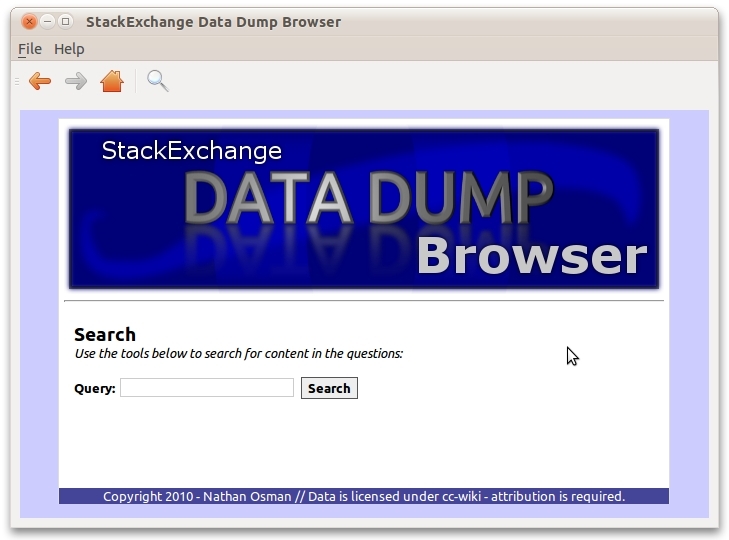 As some of you know, I have created some tools for Stack Exchange sites (like Ask Ubuntu) on Stack Apps. 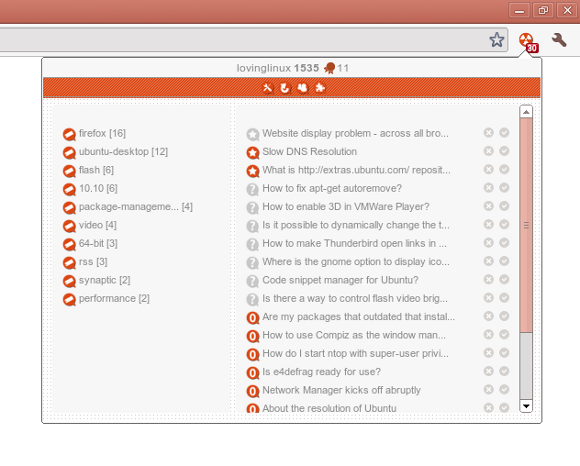 What tools have been developed for Ask Ubuntu, or are especially useful to Ask Ubuntu users? Where /home/username/stackstats.py is the absolute path to the script, askubuntu.com is any stackexchange site and 41 is your user-id. To find out your user id, go to your profile page. It should be in the URL, i.e. askubuntu.com/users/1067/stefano-palazzo. 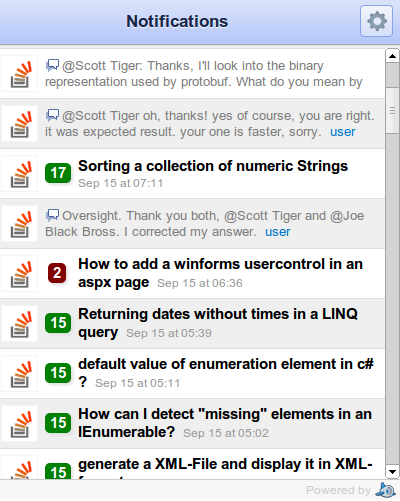 alias ask-stats="python ~/stackstats.py --site=askubuntu.com --user=1067"
StackStats now lives on GitHub. Also, it's now licensed under the terms of the GNU GPL v3. Please hack if you like, and contribute your changes back. I'm proud to announce the first askubuntu.com extension, developed for Firefox, Opera and Chrome. 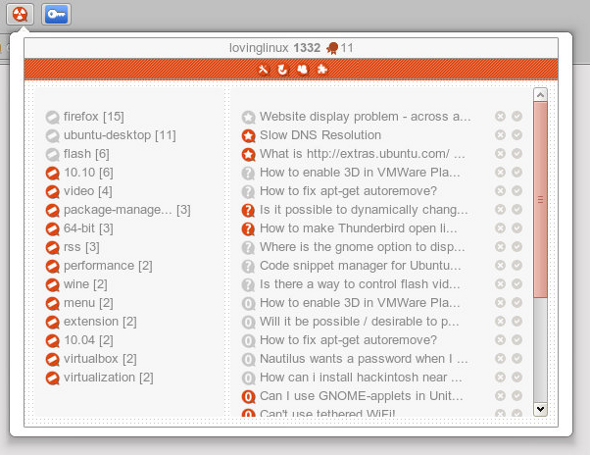 The extension, called AskUbuntu Add-on, allows to easily track user info and questions. 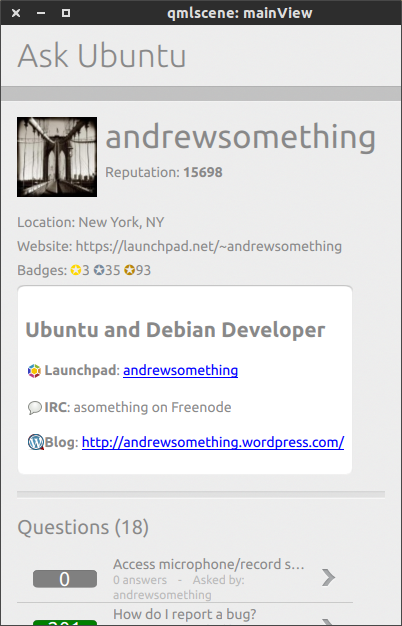 The extension that displays user reputation/badges, monitor activity and provides an easy access to unanswered questions, user questions, user favorites and user tags from an askubuntu.com account. Note: some Gnome users might experience diminished functionality if their Firefox does not show icons in menus, since the icons are indicators of new activity. To solve this problem visit: Where is the gnome option to display icons in menus? 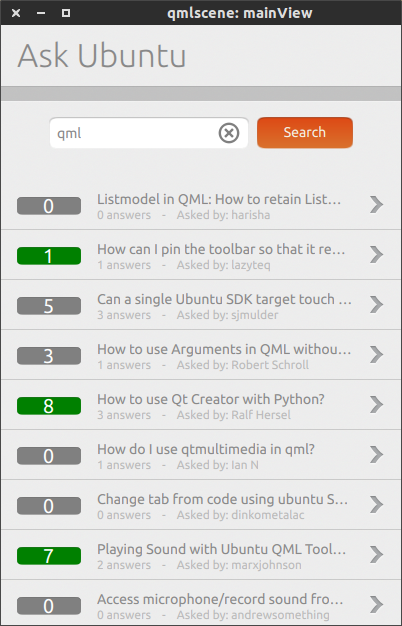 Ask Ubuntu is now available in the Stack Exchange Data Explorer. 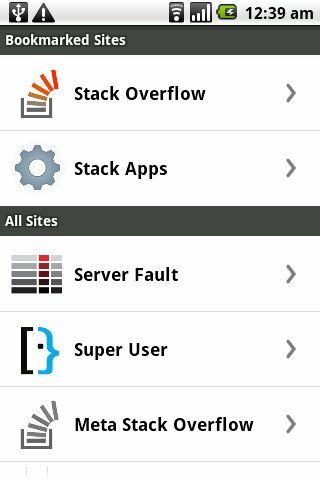 "An Android app that allows you to browse StackExchange websites in a very cool, native kind of way, while keeping a stackoverflow-like look & feel." 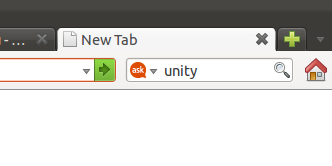 How do I install the Ask Ubuntu Unity Lens, and how do I use it? There is a add on for chrome, not quite as good as this one, but it's a nice notifier, it works with any Stack Exchange site. I'm currently using this one to follow accounts on Stackoverflow, Superuser and AskUbuntu. Google Chrome/Chromium Site Specific search. Click the "Manage Search Engines" button. 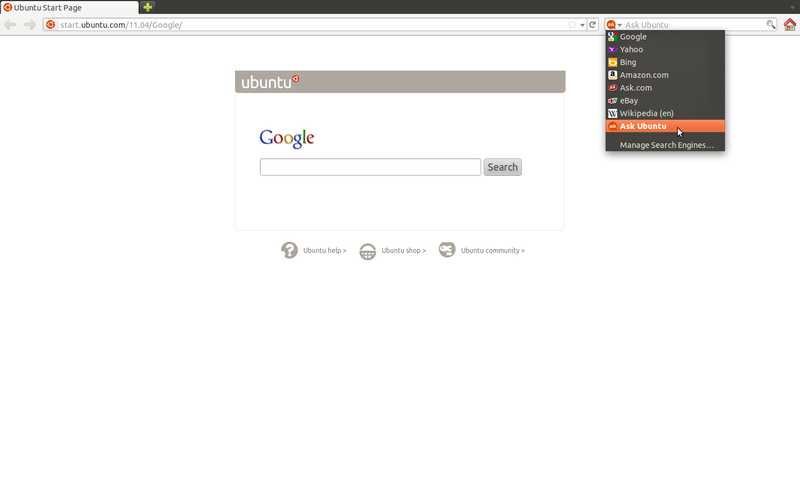 Then, you'll need to change the Ask Ubuntu search engine information. 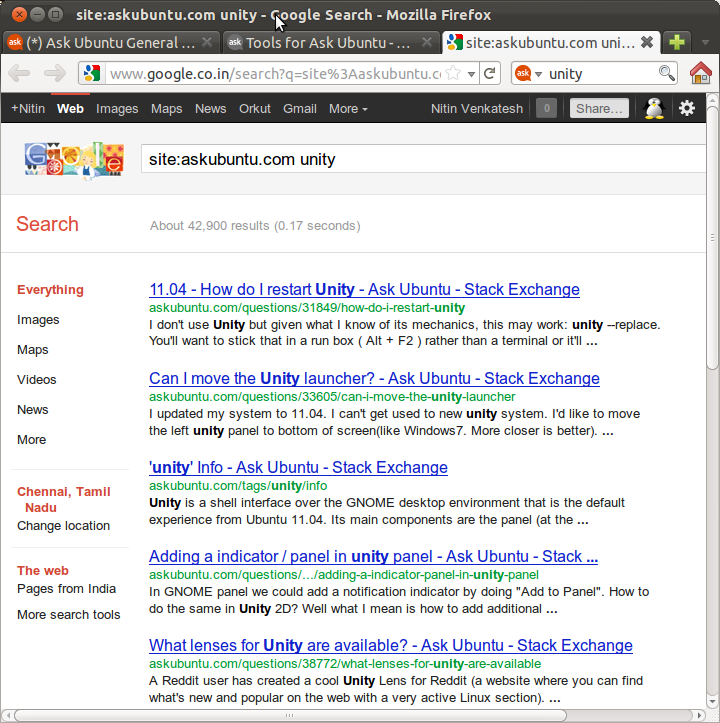 Boom, you've now replaced the default Ask Ubuntu search with Google's site-specific search. 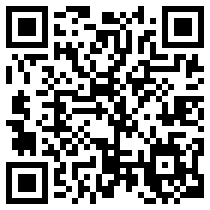 Allows you to browse ubuntu.stackexchange.com through a mobile site designed for smartphones. Screenshot from a webOS device. Add the following content in it. You'll see it among the list of search-engines in the search-engine plugin. And that's it, go nuts, quicker searching AU! 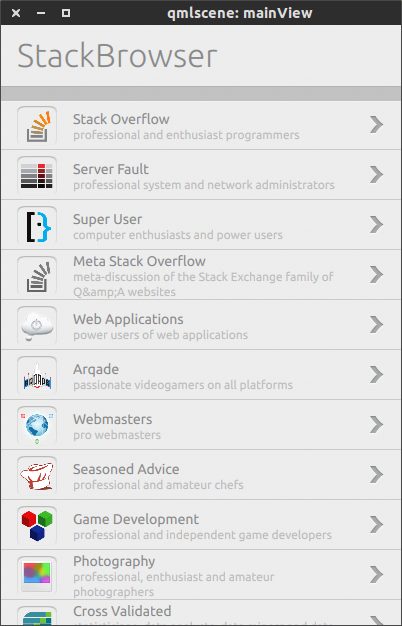 StackBrowser will be available in the Ubuntu Touch Software Center. It can be tested on a 13.10 Ubuntu desktop system, or on earlier releases if you have the SDK installed, by grabbing its source from Launchpad. Unfortunately due to lack of resources and time, this service has been discontinued. This answer will remain for historical purposes. 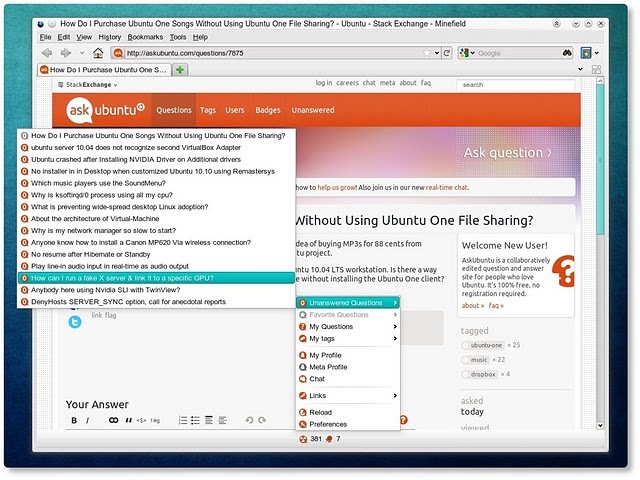 Ask Ubuntu Search is a fast search engine for the site that uses the information in the data dumps and the API to respond to your search queries. Because it uses the API to keep up to date, the server uses data no older than two minutes to process your search query. Not the answer you're looking for? Browse other questions tagged discussion tools . Is there a way to get Desktop notification for AskUbuntu answers/comments? Finishing the Beta off strong and prepping for 10.10. Any plans for a dedicated Ask Ubuntu Android app? 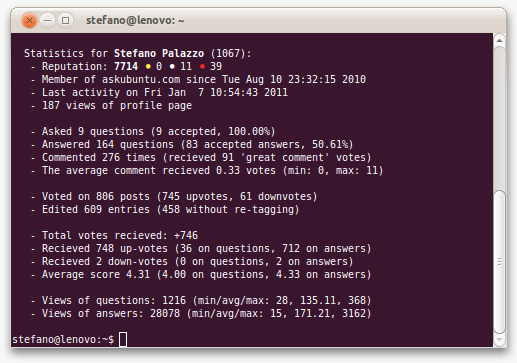 When should I post on Meta Ask Ubuntu vs Meta Stack Exchange?